I am participating in the annual Picture Book 10 for 10 event hosted by Reflect and Refine:Building a Learning Community and Enjoy and Embrace Learning. 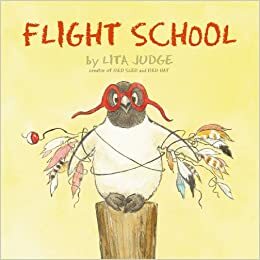 Bloggers who participate post a list of 10 favorite picture books. I am excited to join in for the first time this year. My list of picture books is related to my interest in learning about how to help students develop a growth mindset. I want my students to realize that they have the power and ability to succeed at the tasks they want to accomplish. Putting in effort and persevering through what may seem like failure can help students learn and grow. Discussion is a great way to support students in understanding the importance of a growth mindset and how they can be responsible for their own learning and growth. This is my list of ten favorite picture books for sparking discussion about effort and perserverance. When a girl attempts to make a magnificent thing and her efforts result in a thing that turns out all wrong her temper gets the best of her. Her dog, who assumes the role of her assistant, suggests a walk and as she calms down she realizes there are parts of her wrong thing that are right. The girl is successful in the end and readers find out what the magnificent thing is that she made. This book has lovely illustrations and interesting language. The little girl’s hard work can help students understand what it means to persevere. 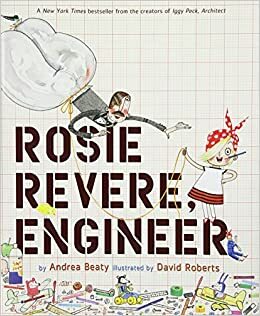 Rosie Revere builds gadgets and gizmos, but in secret because of an uncle who once laughed at an innovative hat she made for him. Her great-great-aunt Rose visits and Rosie decides to build her a gizmo so she can fly. Rosie’s first attempt is a flop and she is about to give up on building when her aunt teaches her that she can learn from her mistakes and try again. The rhyming text and detailed, interesting illustrations makes this a fun story to read aloud. It’s also one that can lead to discussions about not giving up when at first it seems that one has failed. 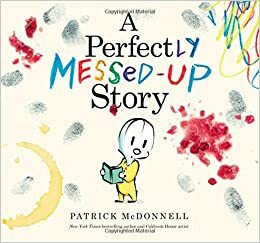 The story begins by telling about Louie who gets upset because his book becomes messy. When he discovers jelly, fingerprints, and coloring on the pages of his book he decides the story should go on without him. When he realizes readers are still reading his story he decides to continue. This is a funny book, that makes readers a part of the story. There is a powerful message about not giving up when things don’t work out exactly as planned. Little Penguin wants to fly and, although Flamingo doesn’t think he can do it, he takes lessons and practices. When Little Penguin attempts to fly he is unable to, but Flamingo eventually comes up with an imaginative plan to help him. This is an adorable story that helps readers understand that obstacles can be achieved with some persistence, imagination, and the support of others. A boy finds a dying garden on a railway and decides to help it grow. He works through all the seasons of the year to keep the garden alive. The garden is a special one that likes to explore and eventually moves out into all parts of the city. The pages of the book, at first, picture a drab, lifeless setting and then become more colorful as the city blossoms with plants. There’s a fanciful quality to the book, but it shows the importance of working hard to achieve something and how one’s efforts can have a positive impact on the world. 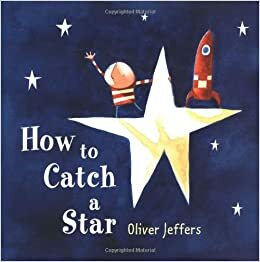 A boy has a wish to catch a star. He is unable to catch one although he waits, thinks up some ideas, and tries things like climbing a tree. The boy never gives up and, finally, he finds a star of his own. The illustrations are simple, but vibrant and captivating. This book can spark discussions about determination and not giving up on your dreams. This is a fiction story, but based on the true story of an inventor, Lodner Phillips, who built a submarine. Papa tries inventing things, but is still trying to find a fantastic idea. 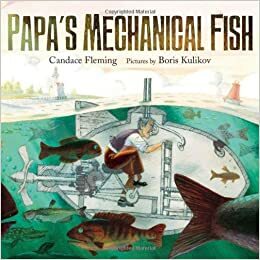 He comes up with the idea to build a mechanical fish. When his attempts fail, his daughter asks him questions that make him wonder and result in him making improvements to his machine. Papa can help readers understand that it often takes a lot of thought and problem-solving to accomplish something. This books tells the story of Walter Diemer, an accountant at a bubble gum factory, who began experimenting in the laboratory and invented bubble gum. When Walter first created a gum that resulted in bubbles, it hardened to rock the next day. Walter continued experimenting and finally discovered a mixture for bubble gum that would work. This books shows how creating something new often results in mistakes, at first, but success can be achieved. 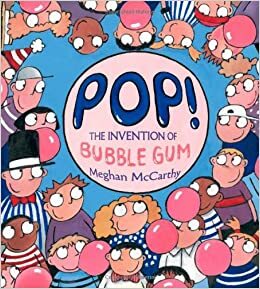 The topic of bubble gum is one that will interest many students. 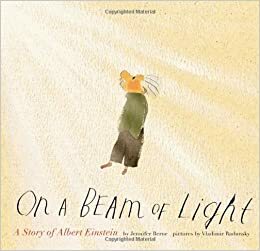 This book describes the life of Albert Einstein. Einstein was a child whose parents thought he was different and whose teachers thought he would not amount to anything. Einstein had an immense curiosity that led him to read, study, and ask questions to which he found answers. This book is informative and inspiring. Einstein’s story shows how someone perceived as different and not a typical learner can accomplish great things through determination and persistence. This is a nonfiction text that teaches how the brain works. The information is presented in a fun and easy to understand manner. 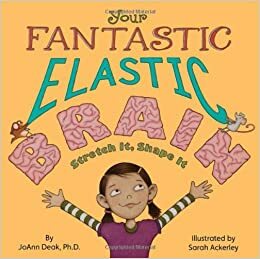 Readers will learn lots of information about the brain including how learning and making mistakes help one’s brain stretch and grow. There are many other picture books that can help students think about the benefit of effort and perseverance. It was hard to narrow it down to just ten, but these are titles are among my favorites. 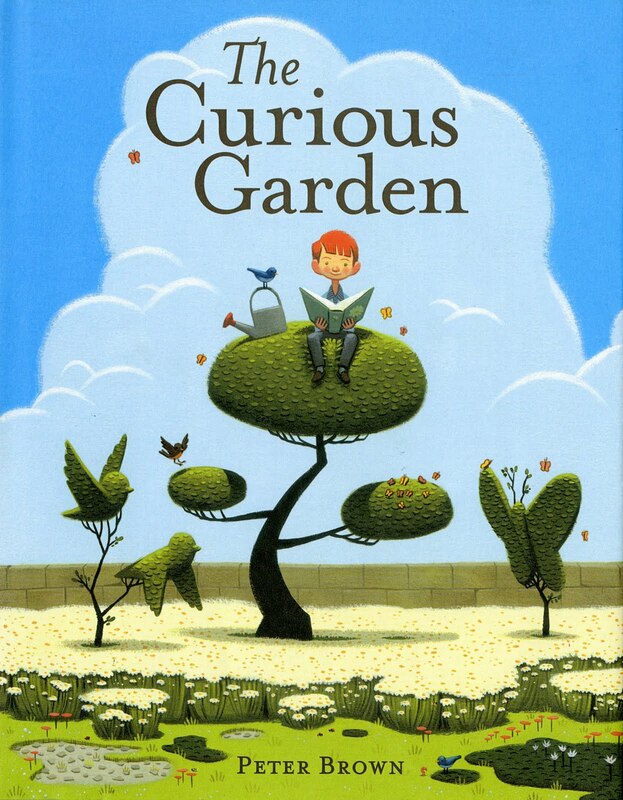 A Curious Garden and an Andrea Beaty rhymer! We have very overlapping tastes! Love your theme and especially all of the real-life example stories that you've chosen. My #pb10for10 is about PB featuring diverse characters. I created a very similar list of books around this theme! I don't know Flight School so will definitely check that one out! I love this list! I haven't read any of these books, and I can feel my wallet getting lighter! I'm not a big picture book person (high school teacher), but the past few years I've been trying to add more to my classroom library, particularly for use in my speech classes. We often have a children's storytelling unit, and picture books are also great for finding speech topics. Love the Most Magnificent Thing for growth mindsets of persistence, flexibly, and the challenge to remain optimistic. I think it's my favorite one from the list!